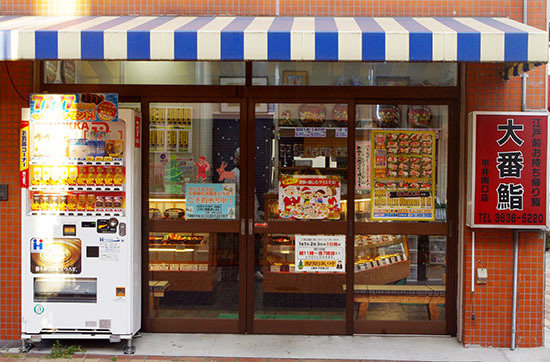 We are a take-home sushi shop, near the entrance to the Hirai shopping area. Our extensive menu ranges from convenient <i>nori</i> rolls and <i>inari-zushi</i> (in a pouch of fried tofu) to traditional seafood items, and we are especially proud of our fresh tuna, and the red rice vinegar which we use. Come and experience our real taste at value-for-money prices!